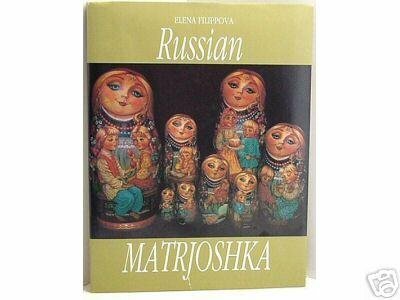 This is a new book by Elena Filippova titled "Russian Matryoshka" While the introductory text is a little rough, the picture section is stunning. Each art doll is allocated a full color photograph, and each photo is titled simply with the artist's last name. Printed on high-quality woven linen paper. Large format, hard bound, laminated book jacket. 108 pages. Moscow, 1995.